To begin I washed the whole thing with a damp rag, it was very dusty and grimy. 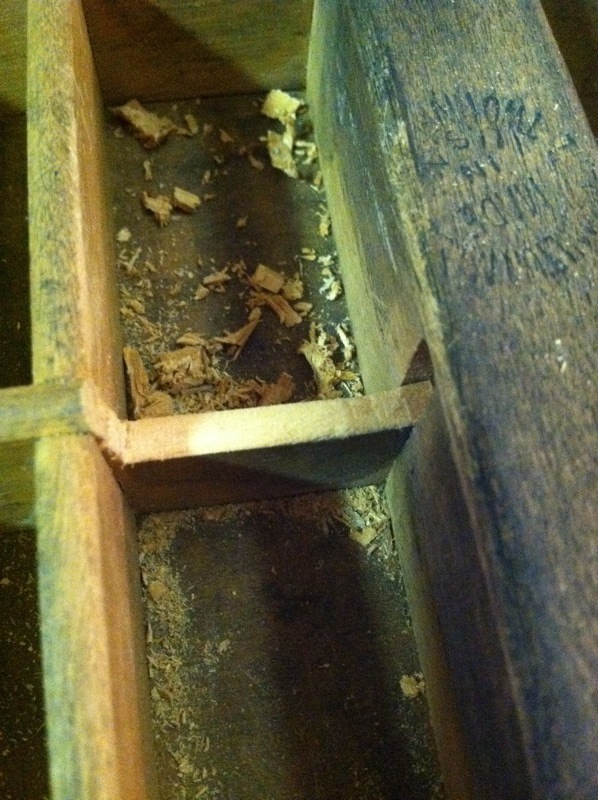 There were several broken pieces and rough spots. I broke out the damaged areas and sanded them smooth. 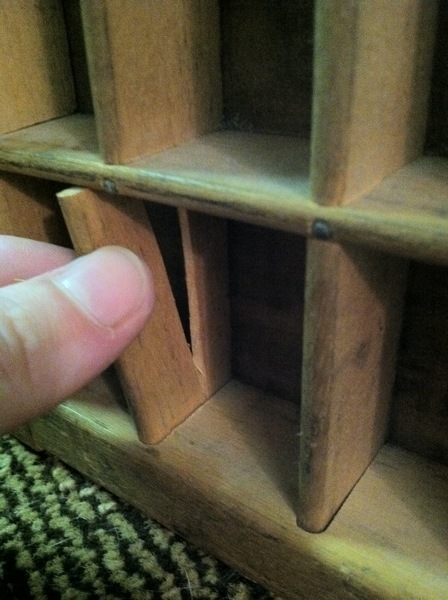 I also broke out several planks to make custom cubbies for specific pieces of jewelry. I wanted a variety of different storage options for my jewelry so I bought tiny eyes for earrings, small hooks for necklaces and thin bracelets and also large coat hooks for scarves/purses. 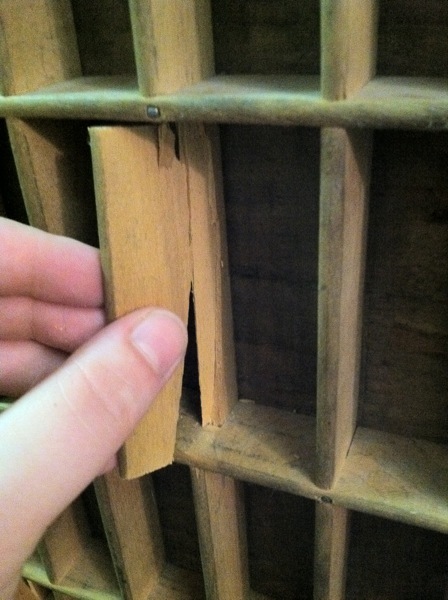 The biggest problem I ran into when attaching the hardware was how thin the separator planks were. I couldn’t screw the eyes in all the way or they would poke through and I couldn’t uses the hooks anywhere but in the thick outer frame. 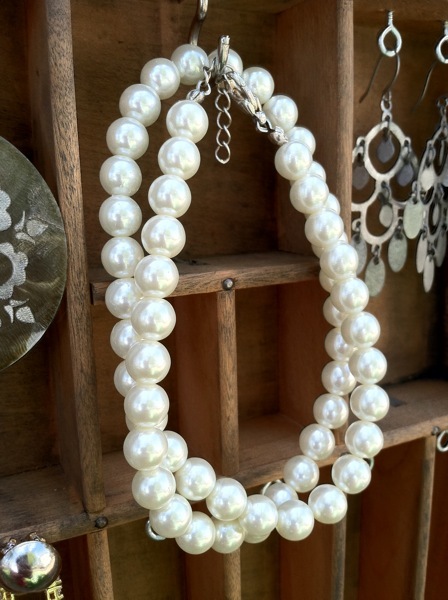 After rummaging in my craft drawer I used leftover upholstery tacks in the thin planks for when I wanted necklaces and bracelets lower on the tray. It’s difficult to decide where to put the eyes, tacks and hooks, when there are almost endless options. I wanted to make sure I had a good place for all the jewelry I already own plus extra room for the collection to grow. So I drew up a plan for the tray and installed 5 or so pieces of hardware at a time. Occasionally I would put the jewelry on it and see where I needed more hardware, and mark where to put in on the plan. When I had a space for all my jewelry I went through and added extra space for future acquisitions. 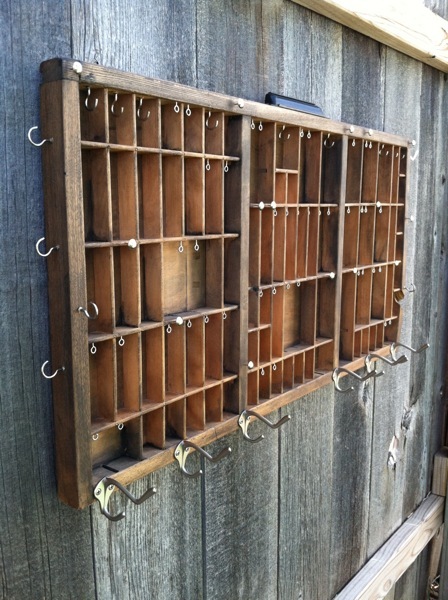 After I attached all the hardware I took a damp rag dipped in black acrylic paint and “inked” up the tray to give it a deeper weathered appearance and to darken the areas where I broke out planks. 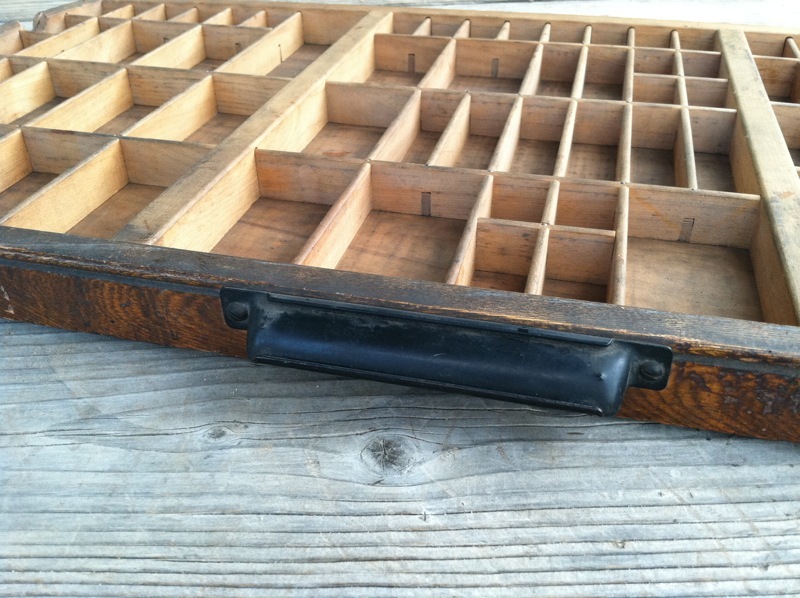 Then I took a paintbrush and blackened the corners of many of the cubbies to add deeper shadows to the tray. 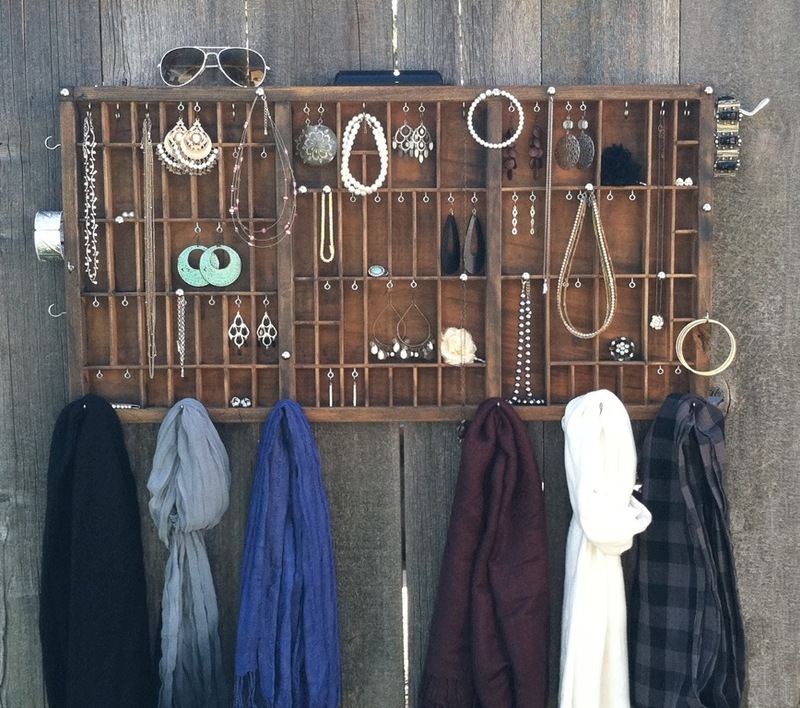 I love how it turned out, a beautiful mix of vintage wood, a piece of printing history, shiny hardware and pretty jewelry. 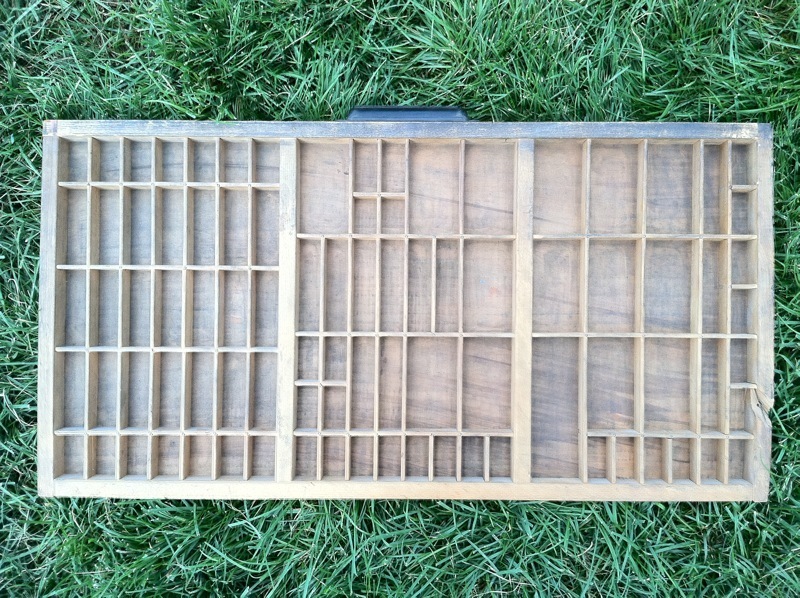 UPDATE 2/28/2012: I’ve written an update post about using this letterpress tray organizer read it here.